Date: Dec 8 2018, 10 a.m. - 2 p.m. 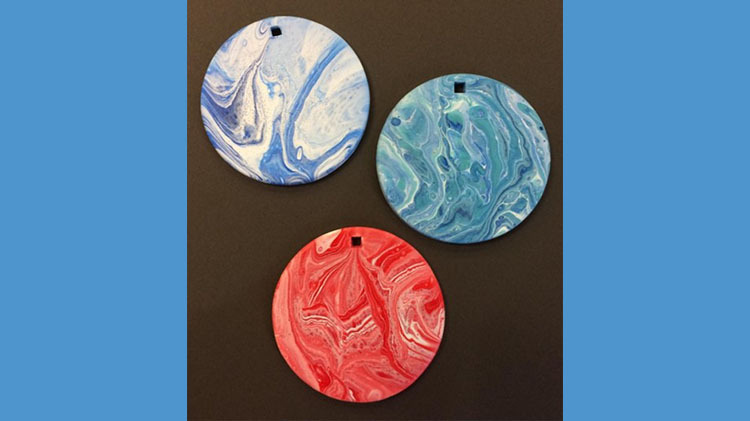 Create one of a kind marbled ornaments. Open to all ages. Children age 12 and under must be accompanied by an adult. The cost is $2.50 per ornament. Shop fee will be waived for this event.